This afternoon, AC Transit is going to have two hearings about their proposed fare changes to let the general public learn about it and give an opportunity to give their opinion about the matters at hand. The AC Transit board will officially vote on the changes on November 13th, and if approved, will be in effect on July 1, 2014. First ride fare remains the same. 25 cent fee for transfer eliminated. Instead of a transfer, a day pass is offered. The day pass can be purchased at the farebox when boarding first bus, or Clipper card users simply 'earn' their day pass after reaching the fare threshold for that day. No day pass to be offered for transbay. No more paper transfers issued. Clipper cards will be only way to process transfers. For adults, the price of the 31-day pass will be reduced from $80 to $75. For youth, the price of a 31-day pass will increase from $20 to $23. For seniors and disabled, the price of a monthly pass will increase from $20 to $23. Adults will pay 10 cents less than cash fare for local rides. Youth, seniors, and disabled will pay 5 cents less than cash fare for local rides. What's the results of these changes? Let's take a deep look into them. Ending the 25 cent transfers would hurt passengers who ride only the bus a couple of times, but for those who have to transfer multiple times to buses, the day pass is a benefit that saves money. Having Clipper cards offer the day pass when reaching the threshold is a nice benefit as there's no need to worry if a passenger should just pay cash to the farebox or use their Clipper card instead. 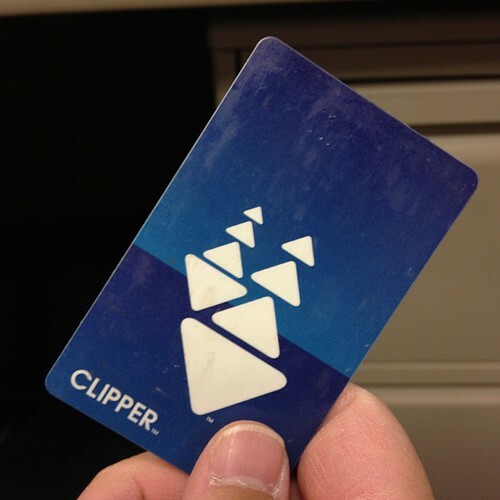 Encouraging passengers to use a Clipper card for transbay service is practical common sense. If a passenger intends to transfer to/from a local bus, using the Clipper card automatically determines if the transfer is valid or not, and it saves the agency on paper and trash waste. It's quite unusual to see bus pass fares drop for adults while everyone else pays a little more. But their explanation that they want to make the pass prices fair for everyone makes sense. They want to make the pass the price of taking the bus 36 times in a 31 day period, therefore necessitating the need to make it even across the board. Offering a fare discount for paying with Clipper is one of the best ideas ever. It's a great incentive to help board passengers faster because it only takes a second to tag your Clipper card, versus the time it takes to feed dollar bills into a fare box. If AC Transit can run their buses quicker because of Clipper, everyone wins.